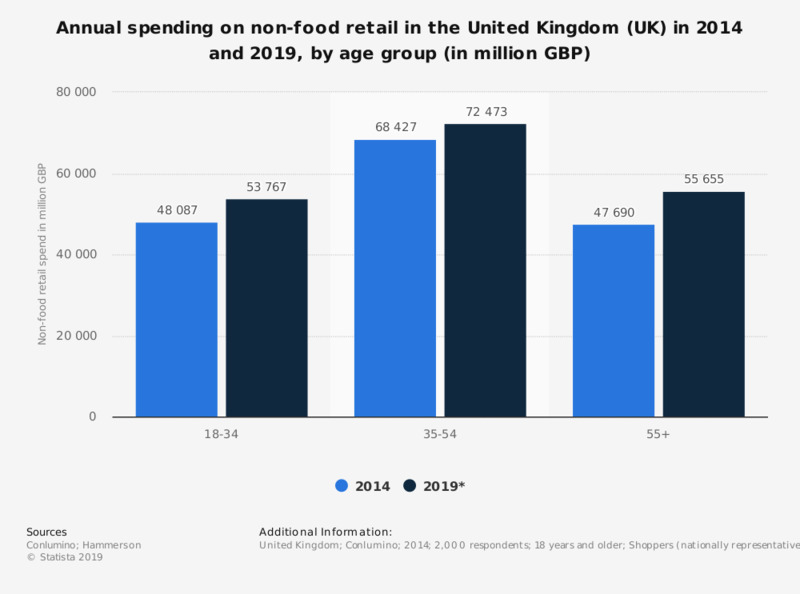 This statistic depicts the non-food retail spend of shoppers in the United Kingdom by age in 2014 and with a forecast for 2019. In 2014, 18 to 34 year olds in the UK spent approximately 48.1 billion British pounds on non-food retail items. Their projected spending in 2019 is estimated to rise to around 53.8 billion.